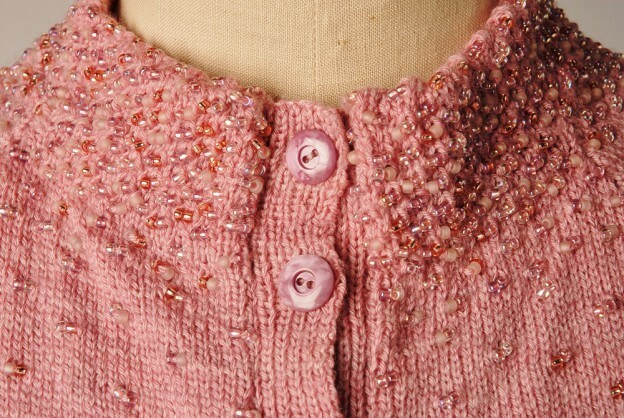 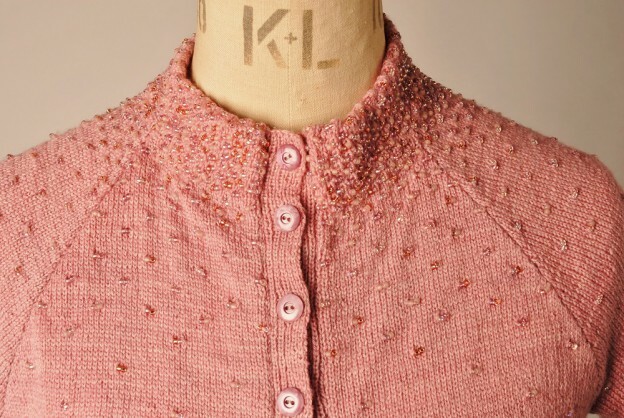 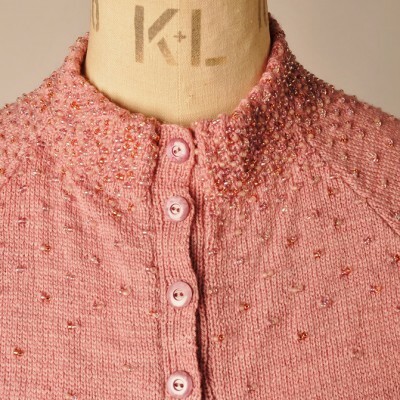 Hippolyta is a simple raglan cardigan knitted in a 3 ply wool and silk mix yarn and decorated with hundreds of glass beads. 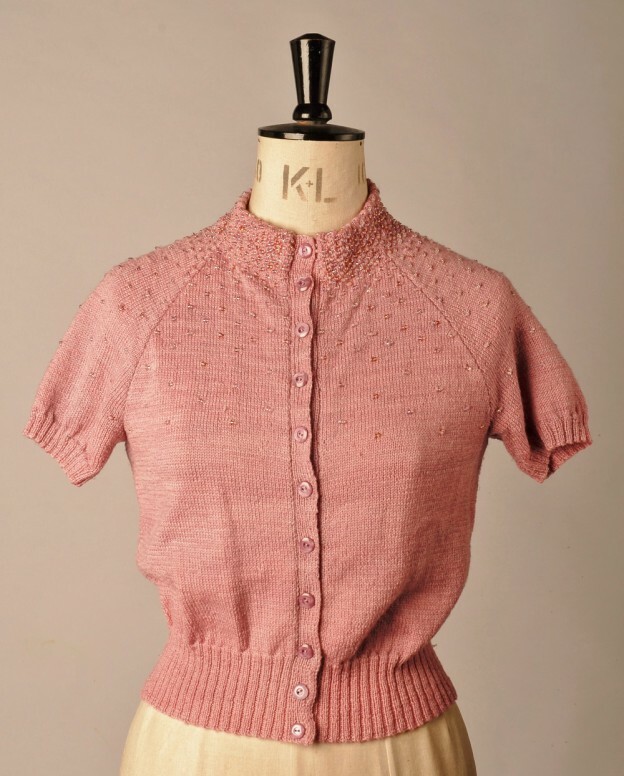 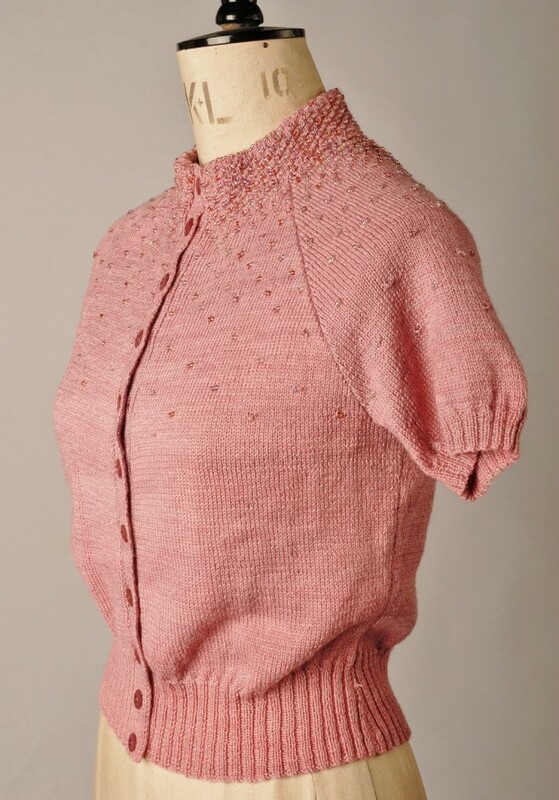 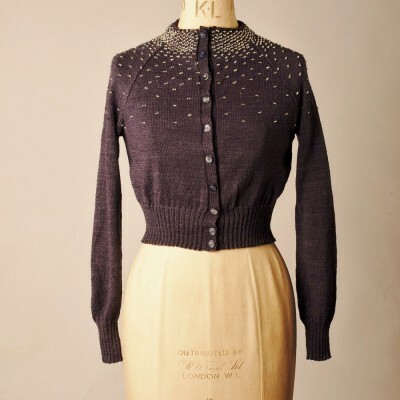 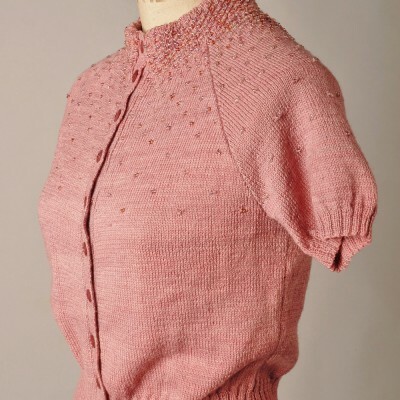 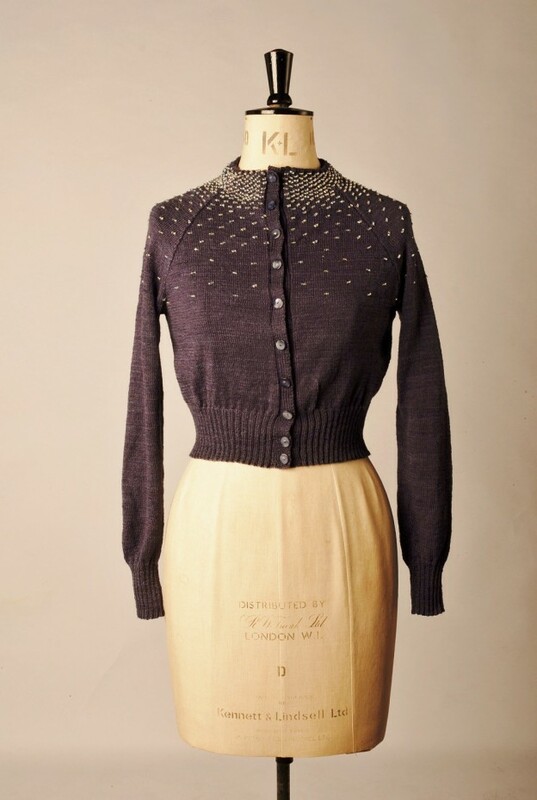 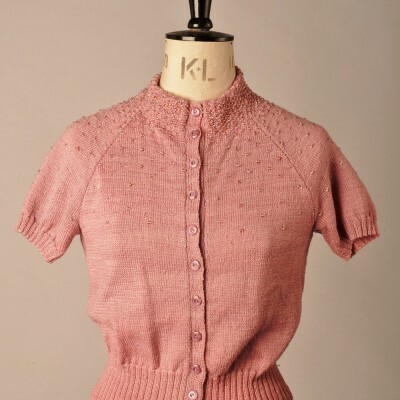 The cardigan has a shaped rib and raglan sleeves (the pattern includes both short length – pictured here – or full length). 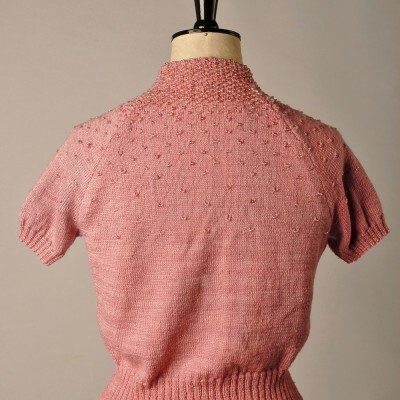 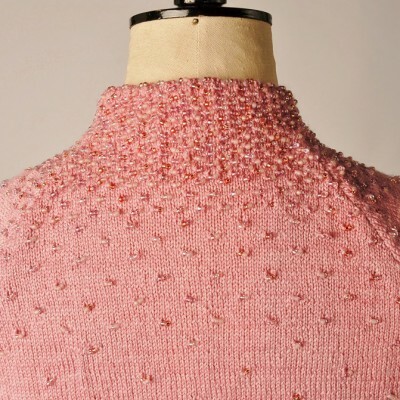 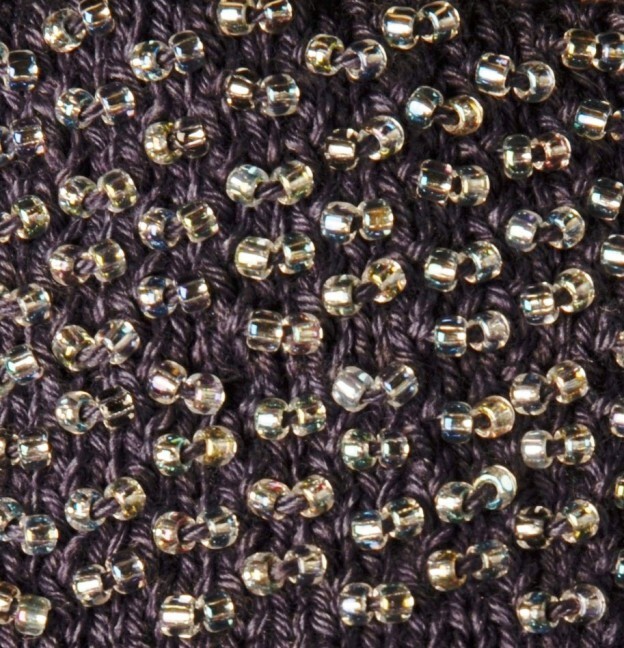 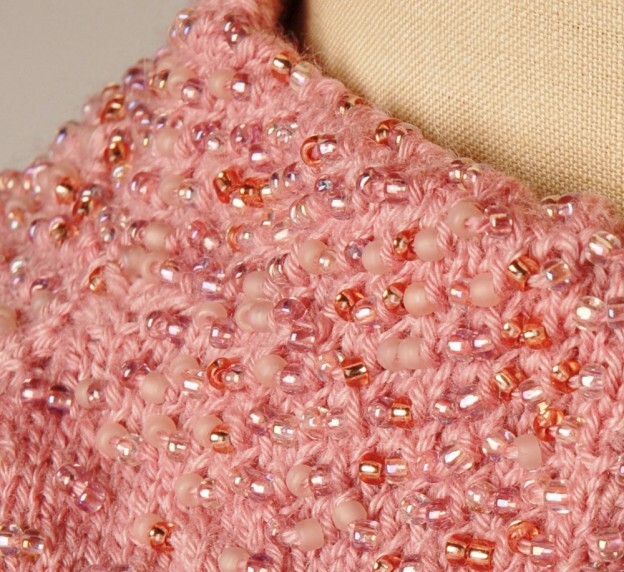 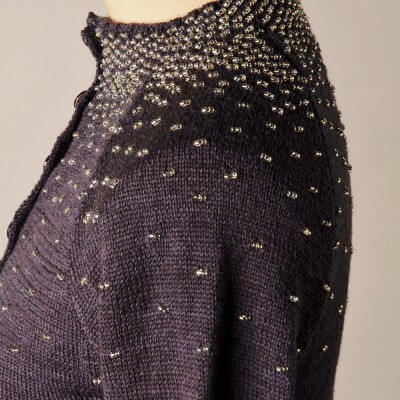 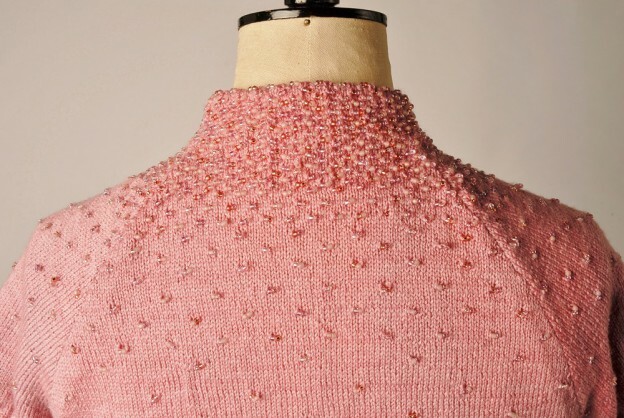 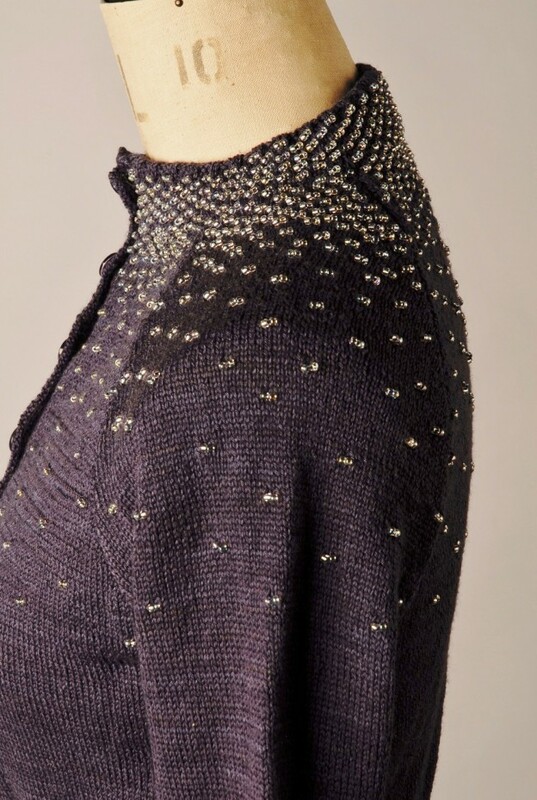 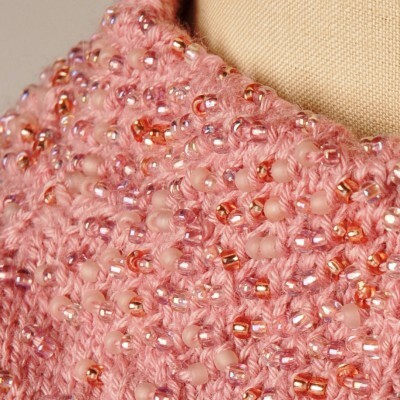 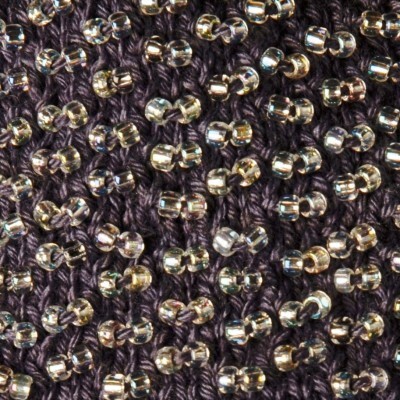 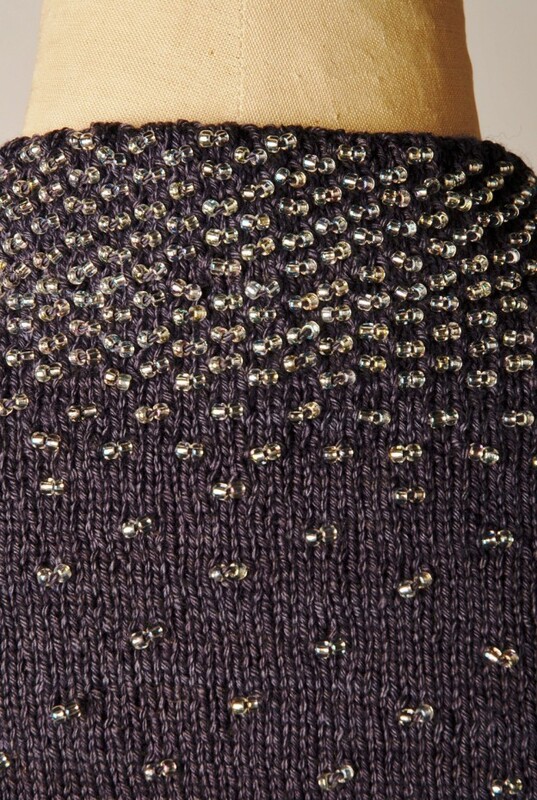 Knitted in stocking stitch, decorative interest is provided by hundreds of glass beads clustered around the high collar and scattered over the shoulders . 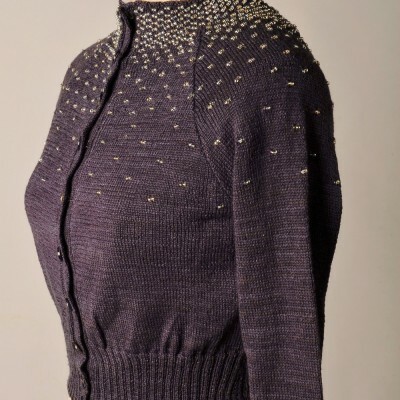 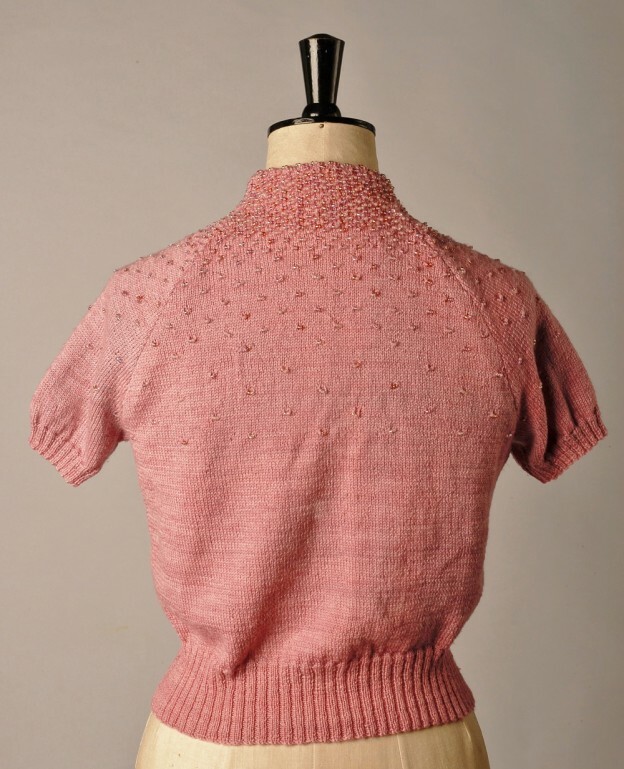 Sizes & yarn quantities: The pattern gives instructions for sizes 32-42 ins (81-107 cm) bust, , using 2 (2:2:2:2:3) x 100g skeins for the short-sleeved version, 3 (3:3:3:3:3) x 100g skeins for the long-sleeved version. 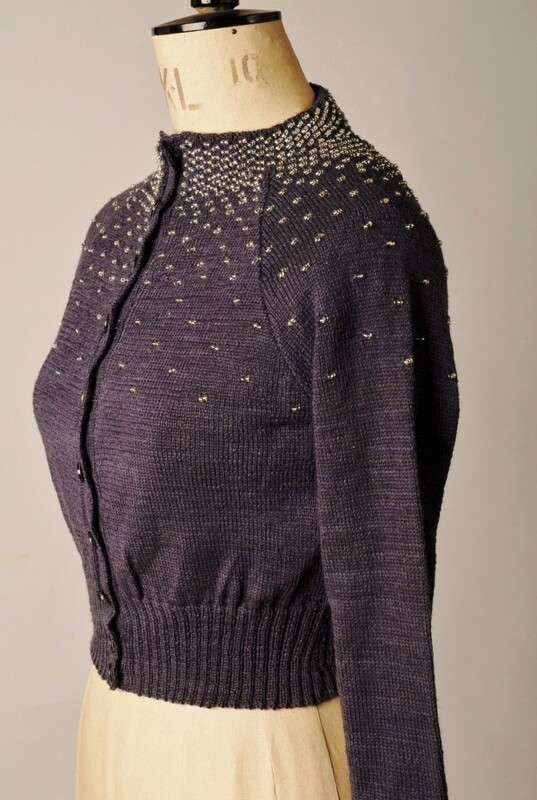 Needles etc: pair of 2.25mm (US 1) & 2.75mm (US 2) needles, approx. 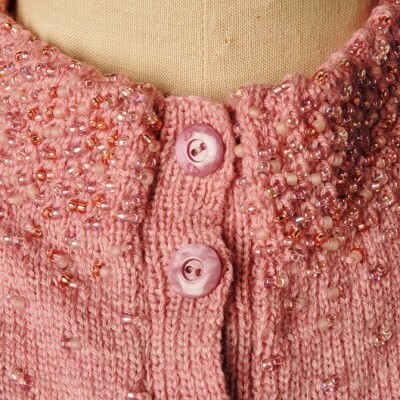 11 X 14mm buttons (depending on size).